Alex De Minaur no doubt knows that he doesn’t have the raw power of Marin Cilic, the size of Kevin Anderson, or the ability to be imposing physically like Rafael Nadal. With a small frame and a baby face, he looks rather like the work experience kid among a group of adults when he first takes to the court. When he picks up the racket, though, anyone watching him realizes he is someone to be taken seriously. Against second-round opponent Henri Laaksonen, a man considerably bigger and stronger than him, De Minaur played a match of skill, intelligence and patience – biding his time in rallies and regularly chipping tough balls back into play, waiting for his opponent to make a mistake. Ironically, it was the 26-year-old Finnish born Swiss who looked like an inexperienced amateur on occasions – unable to deal with De Minaur consistently getting the ball back and into tough places – going for impetuous winners on regular occasions that sailed well long or wide of the lines. Laaksonen hit 88 unforced errors for the match, 32 more than the Aussie 19-year-old. Although his total winners stat was nothing to write home about (26, compared to his opponent’s 65) De Minaur himself was not without the ability to hurry up the Swiss. During rallies of attrition, he would regularly up the pace on a forehand, forcing Laaksonen into hitting a ball back short, and putting him on the back foot. Surely, if De Minaur is to survive against the bigger and more imposing men in the draw today, he will have to further develop the offensive side of his game. 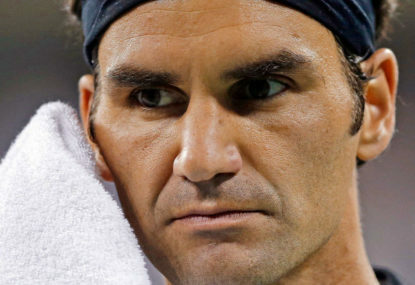 It seems that the big four era has left a slew of disgruntled and disillusioned young players, well aware of the fact that even if they give everything they have, they may still not get close to winning a slam. Bernard Tomic has spoken about this, and Nick Kyrgios and Jack Sock’s conduct suggests as much. At least at this stage, Alex De Minaur just likes to compete. With his lack of size, winning a Grand Slam seems unlikely in an era where Federer, Nadal and Djokovic still dominate. 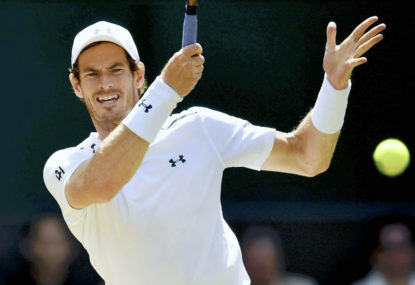 He is only 19, however, and if he can keep improving, in around five years time he could do what his mentor Lleyton Hewitt was able to – wait for a relative lull in the men’s game (and for the greats of his era to retire) and take a slam or two from his less mature, disciplined and hungry contemporaries. 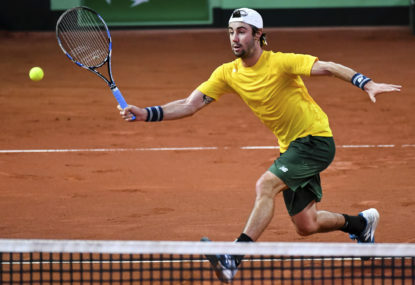 Jordan Thompson has continued his inspired return from the tennis doldrums to reach the last 16 of an ATP Masters 1000 event for the first time. 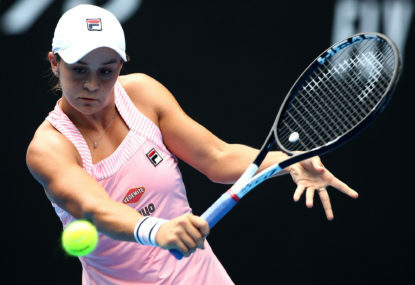 Ashleigh Barty has fought back from a set down against Kiki Bertens to book her place in the quarter-finals of the Miami Open.